At North Atlantic Insurance Associates, many of our customers enjoy the finer things in life. This includes sailing and other water sports along the coast of Maine. We believe everyone should be able to enjoy their hobbies without worrying about property damage or liability, so we provide a full range of boat and watercraft insurance options. Whether you need insurance for your yacht, fishing vessel or other type of boat, you must also understand where in the water you are covered. Our experienced agents will help you find insurance that covers the places you want to travel. Many insurance carriers with whom we work offer protection up to 75 miles from the nation’s coastline as well as into Canadian coastal waters. Coverage for inland waterways is usually included also. 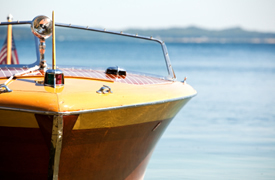 Get your online quote for free today, or call us to learn more about available watercraft coverage.